The International Mathematics Tournament of Towns is a problem solving competition in which teams from different cities are handicapped according to the population of the city. Ranking only behind the International Mathematical Olympiad, the competition had its origins in Eastern Europe (as did the Olympiad) but is now open to cities throughout the world. This book contains a unique record of the problems and solutions of the Tournament from 1997 to 2002. 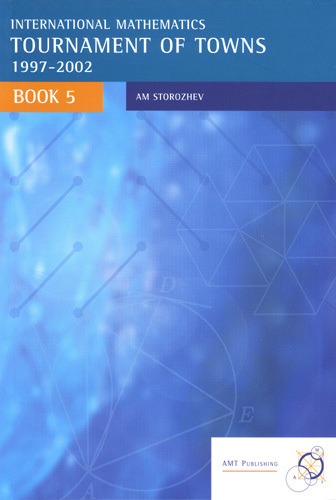 They have been translated from the Russian, with solutions composed in English by an international panel of mathematicians which includes Andy Liu of Canada. "There is something special about the problems in the Tournament." "The problems are also highly innovative and some of the methods needed in solving these prolems are often quite new also. One feels often at the cutting edge when attempting these problems."